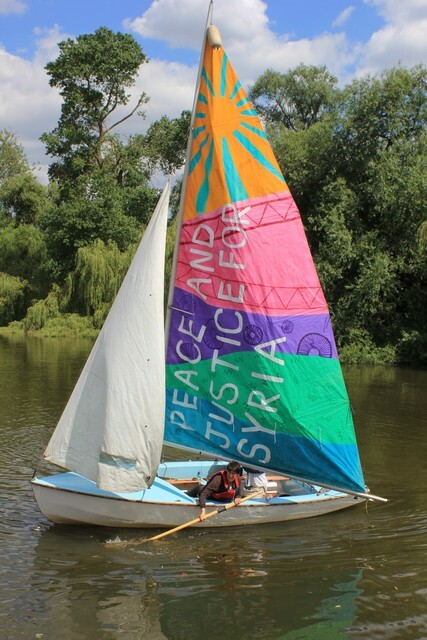 Maria and Simon set off from central London on their Sail 4 Syria odyssey to Lebanon yesterday afternoon. After spending last night in South Dock in Rotherhithe, this afternoon they will continue eastwards past the Thames flood barrier in Woolwich. Please support Maria and Simon in any way you can, such as by making a donation to Sail 4 Syria and/or the Syrian Eyes appeal. Click here for a link to a video featuring interviews with Maria and some other Syria Peace & Justice group members. 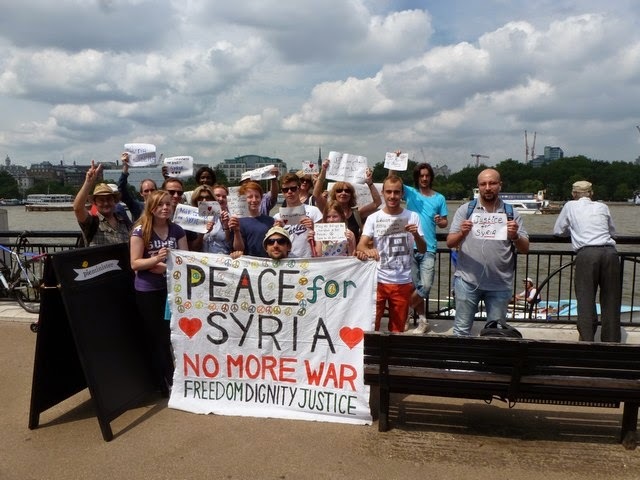 #Sail4Syria supporters gather on the South Bank of the river Thames in central London on 12th July 2014. Credit: Syria Peace & Justice. 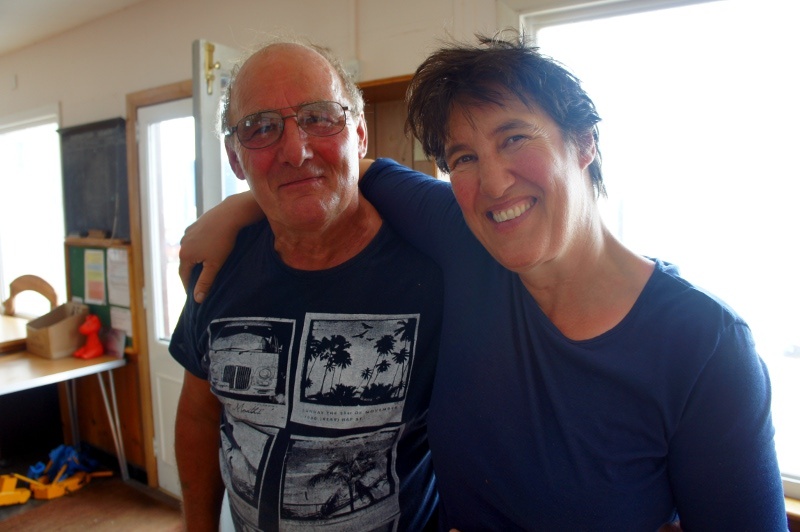 On Saturday 12th July, following several months of preparations, two peace activists, Maria Gallastegui and Simon Moore, will embark on a sailing voyage of over 3500 miles from London to Beirut, Lebanon. This action is in solidarity with the people of Syria. 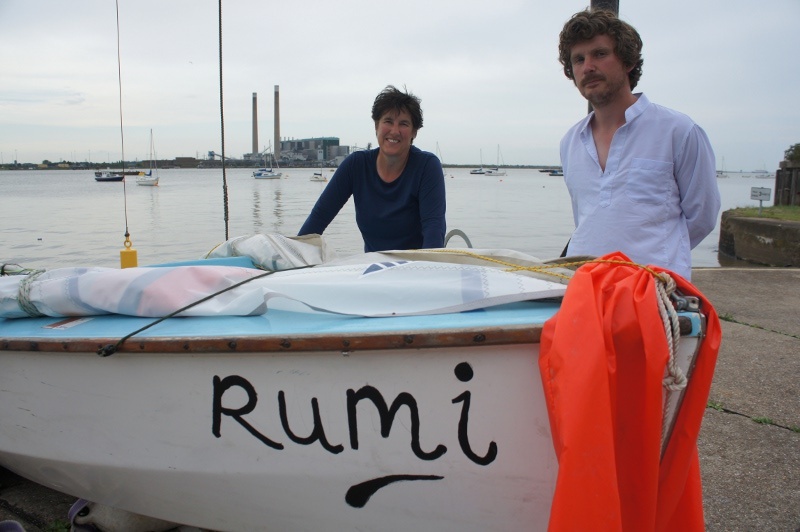 They will travel aboard ‘Rumi‘: a 16-foot Wayfarer dinghy. Maria Gallestegui on board ‘Rumi’. Sail designed and painted by artist Helyn Gulley. SPJ is calling for non-violent action to highlight and challenge the above behaviour and encourage a responsible, compassionate and peaceful approach to the Syria crisis from the international community. 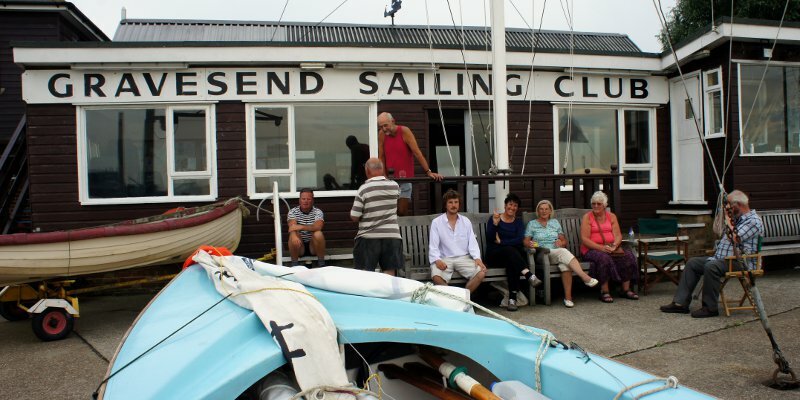 The S4S team is seeking to link up with like-minded groups and individuals as it passes through various cities, towns and villages along its route. SPJ and S4S will soon be announcing the sponsorship of a children’s activity project for Syrian refugee children, in co-ordination with Syrian Eyes. This will be published via the Syria Peace & Justice website. 1. 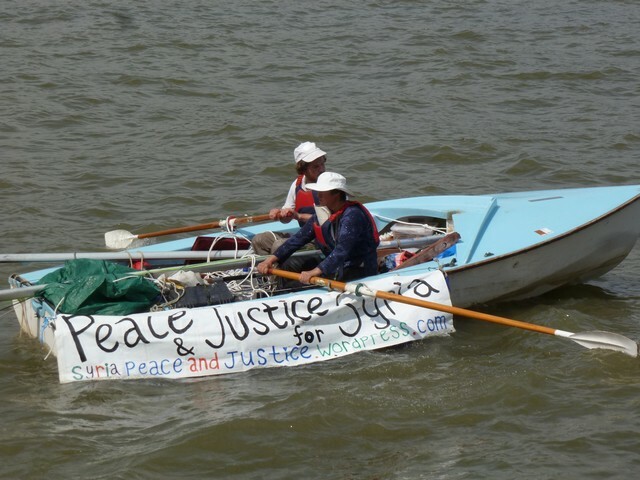 Syria Peace & Justice (SPJ) is an open, London-based non-sectarian grassroots group, formed in October 2013. It wishes to promote a peaceful end to the terrible conflict in Syria and justice and human rights for all of its people. 2. SPJ and S4S are currently supporting one group called Syrian Eyes, which is made up of mostly young unpaid Syrian refugees who dedicate their time to providing for the needs of the Syrian refugee families in Lebanon.